It has taken me more than a couple of years to write, but I finally did it! In this post, I’ll share with you my laid-back 2-week itinerary for Portugal for the first-timers. If you visited by the blog before, then you probably know that laid-back is not the way I travel now. Right now I manage to squeeze two countries on a 7-day trip and have every second attributed to some activity. However, it’s not how I used to travel before. This particular trip of two weeks in Portugal was made together with my parents, who travel in a very laid-back way (they travel to relax and have a proper holiday), so I’ll be sharing with you the itinerary for Portugal for two weeks that is not so packed with activities! Where to stay in Portugal for two weeks? It makes sense to stay in different places, e.g. a week in Lisbon and a week in Porto (Read my post about a wonderful weekend in Porto) to explore two different parts of the country. However, this is a proper hassle-free itinerary, so we will only choose one place. In reality, we stayed 2 weeks in one place, in a charming seaside town Estoril, 25 minutes by train from Lisbon. 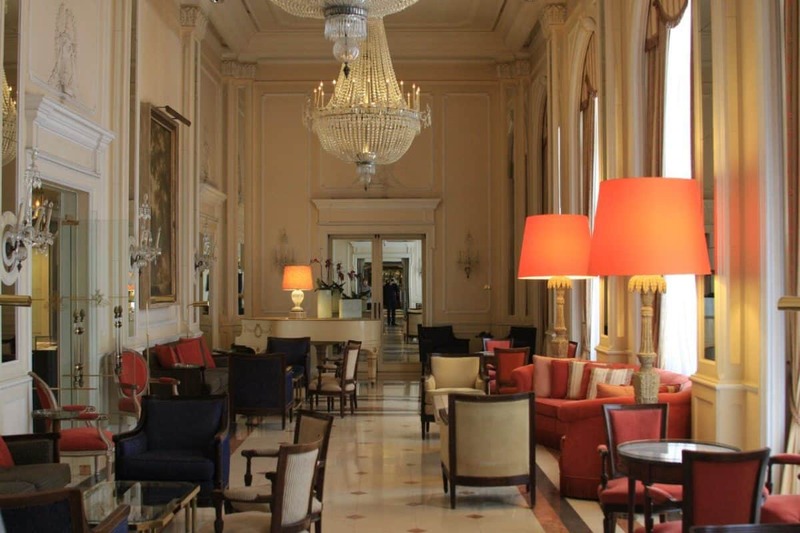 In Estoril, we stayed in a hotel called Palacio Estoril Golf & Spa, and it was a wonderful experience. The hotel was an actual palace where Royals from different countries have stayed, and it had the most fantastic service. Palacio Estoril also had some sort of affiliation with the Banyan Tree spa that was connected to the hotel via an underground passage so that we could visit the spa every day free of charge (it had a lazy river, who would resist?). 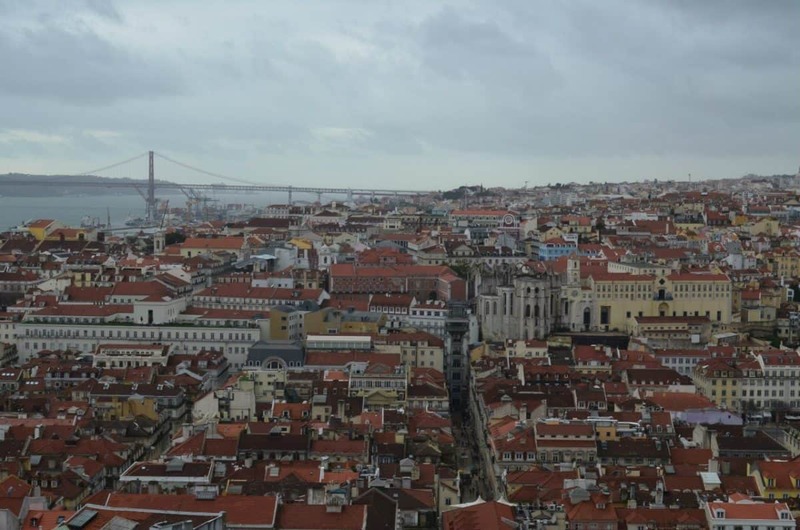 We spent the first four days of our 2-week trip to Portugal in the capital, Lisbon. I forgot to mention that we went to Portugal in winter (in January, to be precise) and the weather wasn’t bad at all. 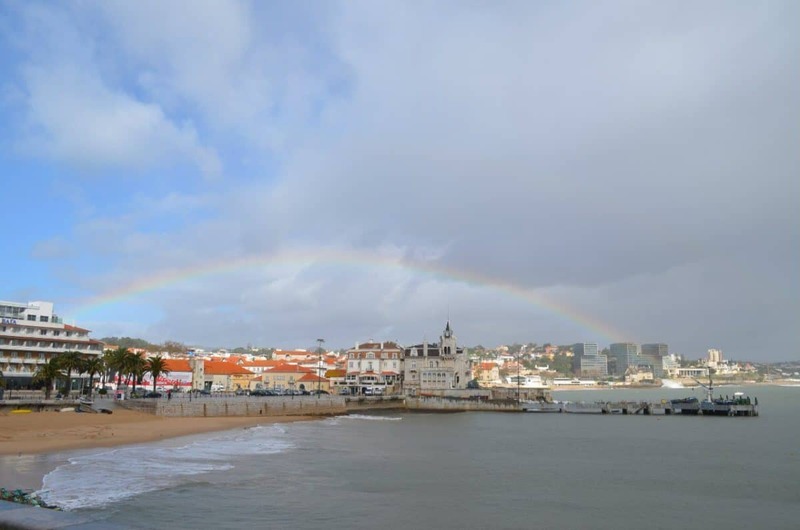 What to expect from the weather in Portugal in winter? Well, it can be very windy, but the temperatures usually don’t sink below 12 degrees. Out of 14 days in Portugal in January, we probably had 5-6 days of rain, which was expected and wasn’t too bad for us. 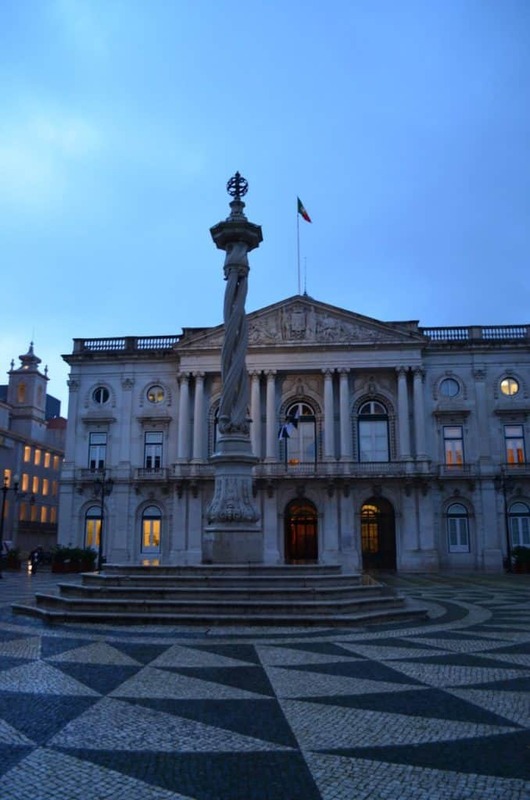 I probably need a separate post about the things to do in Lisbon, but in this 14-day itinerary for Portugal, I will just mention a couple of highlights. 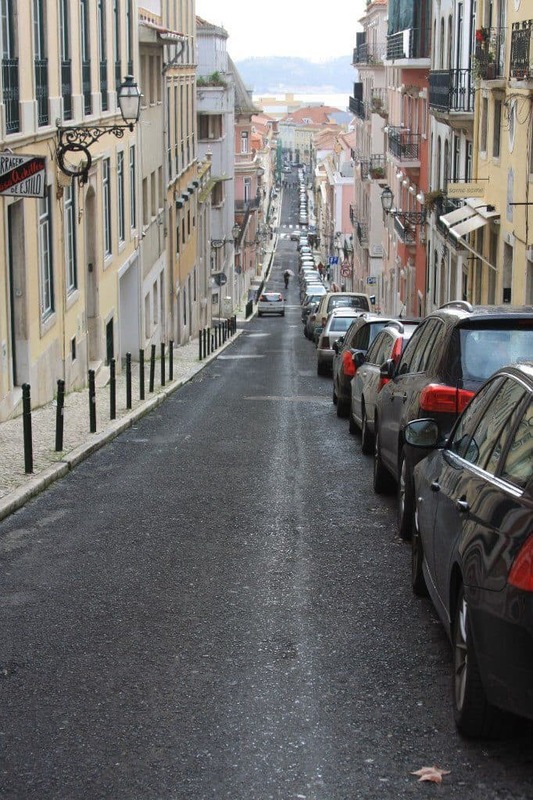 I would recommend you to choose your pace and just walk around the narrow streets of Lisbon exploring it bit by bit. The places that impressed me the most in Lisbon: the unique district of Alfama that looks like something from the movie of the 60s, the Sao Jorge Castle with its views over Lisbon, impressive Pedro IV Square, Praça do Comercio and the district around the Santa Justa Lift. You should come to the promenade to see the famous Christ the King statue and take a photo of the bridge that looks exactly like the one in San Francisco! There are way more places to visit in Lisbon for four days so that you can check the best ones on Tripadvisor. Or you can just read the Portugal page on Lonely Planet. If you have 4-5 days in Lisbon, you can surely choose one of the historical walking tours of the city (this one is really the best-rated one) or attend a famous Fado show. If you’re a foodie, you might be interested in this food tasting experience. 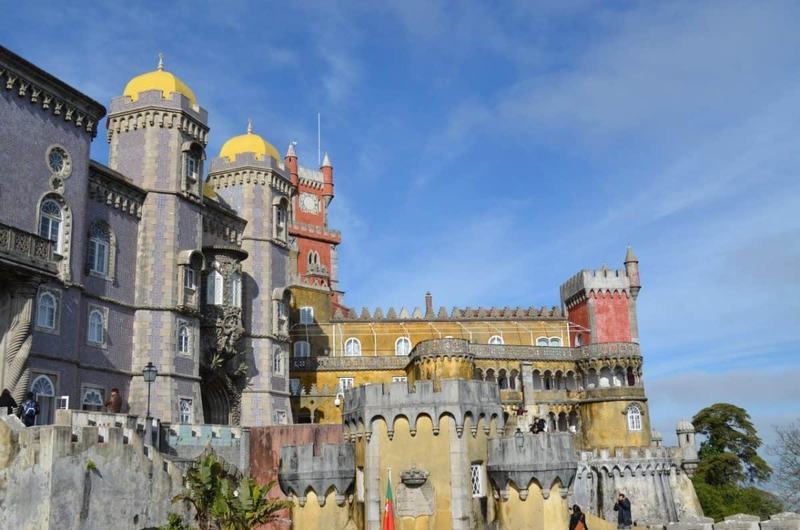 To go to Sintra from Estoril, we only needed to take a short train ride or hop on a bus. However, we rented a car for five days, so we had to take advantage of it. We rented a car from AVIS and absolutely loved it. Since then, I often book with AVIS. However, I book AVIS via Rentalcars.com, as it offers a great rate on full insurance (don’t really want to risk it after an incident in France). 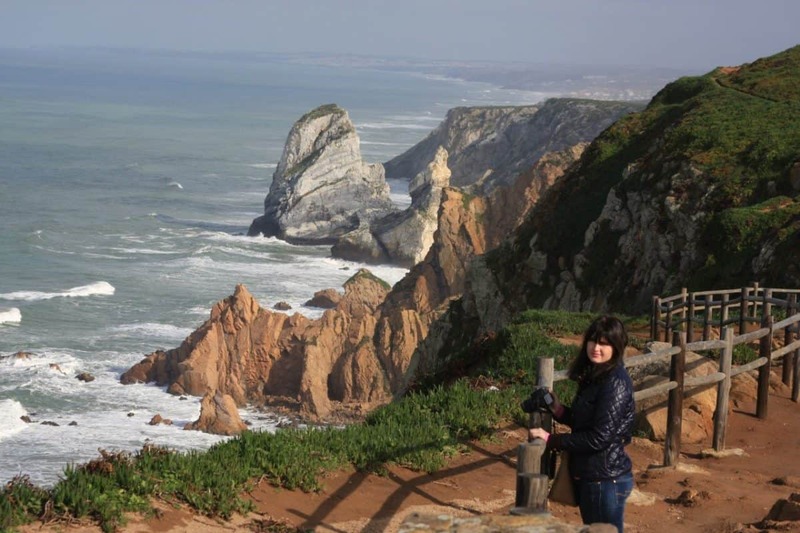 We tried to go to Cabo Da Roca on the 6th day in Portugal. However, it was one of these rainy days, and moreover, just when we left, it got very foggy, so we could barely drive. 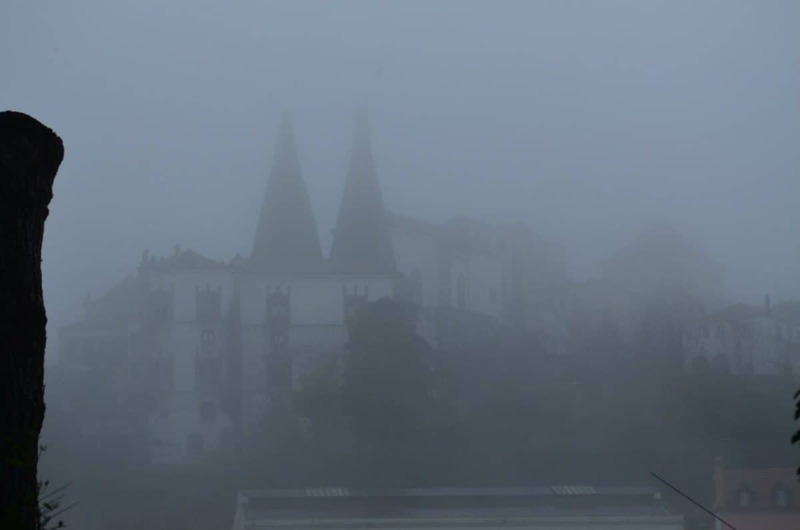 The plans for Cabo Da Roca were cancelled, but we still managed to get to Sintra and go to the Sintra Palace. The palace looked unique and ominous in the fog. On day 7, the weather was fantastic – sunny and warm, so we managed to see Cabo da Roca – amazing cliffs and the most Western point of Europe. Later on, we parked in Sintra and went to see the Moorish Fortress (it was quite a climb) and the very photogenic Pena Palace that was the highlight of our 2 weeks in Portugal. We didn’t see the Quinta da Regaleira – the famous well with the stairs, as it was closed, but I would recommend you to visit it as well. The next three days we spent driving around Portugal visiting some of the most beautiful cities and towns in Central Portugal. 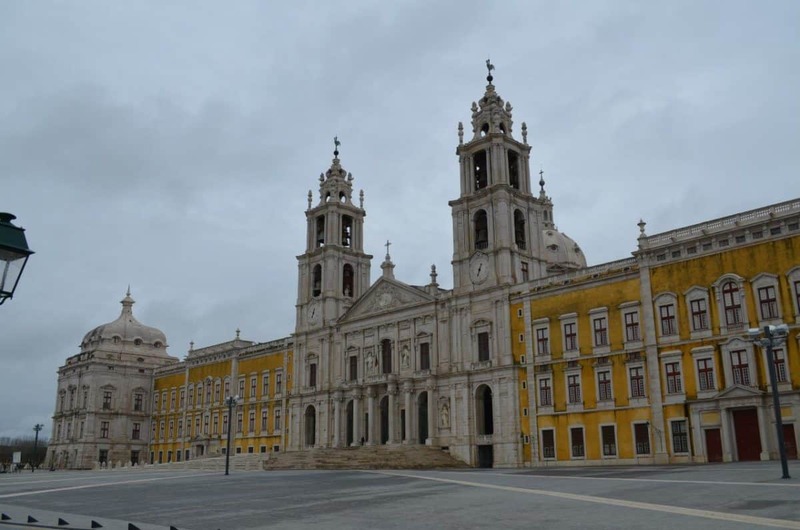 In the afternoon (we were tired from last day’s exploration of Sintra), we drove all the way to Mafra – a town famous for it’s enormous National Palace. The palace was imposing and we enjoyed touring around it. Apart from the castle, there was nothing else to do in Mafra, so we decided to head to the next stop. 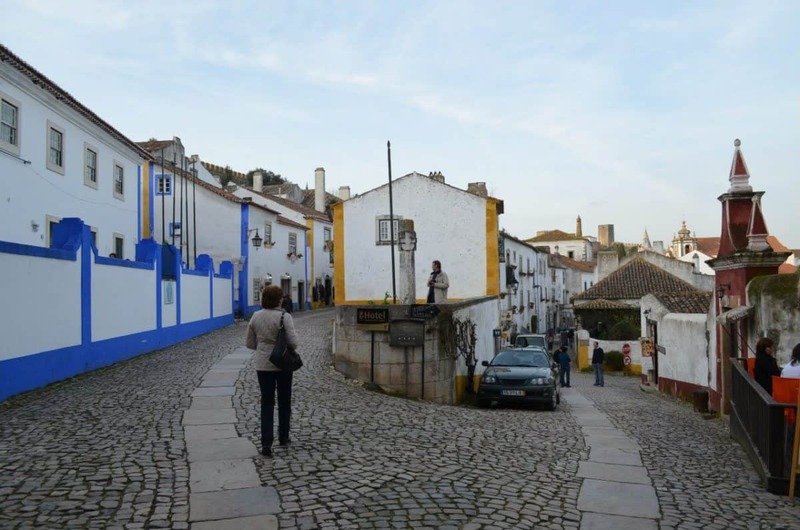 Obidos was a lovely medieval village that looked marvellous (and similar to the French town of St. Paul-De-Vence near Nice – I have a post about it). It was a pleasure walking there and taking some photos at sunset. 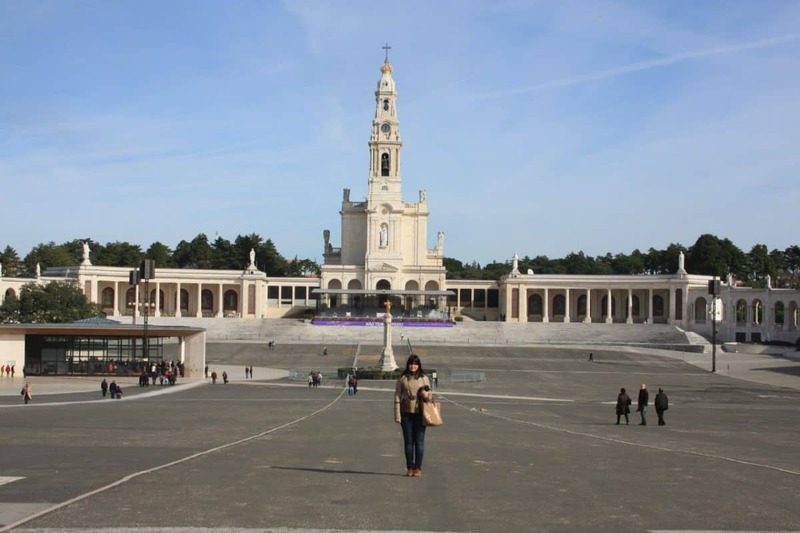 On the next day, we drove all the way to Fatima – to see the famous Sanctuary of Fatima – a pilgrimage site for Catholics. We spent in Fatima good 2.5 hours before driving to Batalha – one of the most impressive towns during our 2 weeks in Portugal in winter. 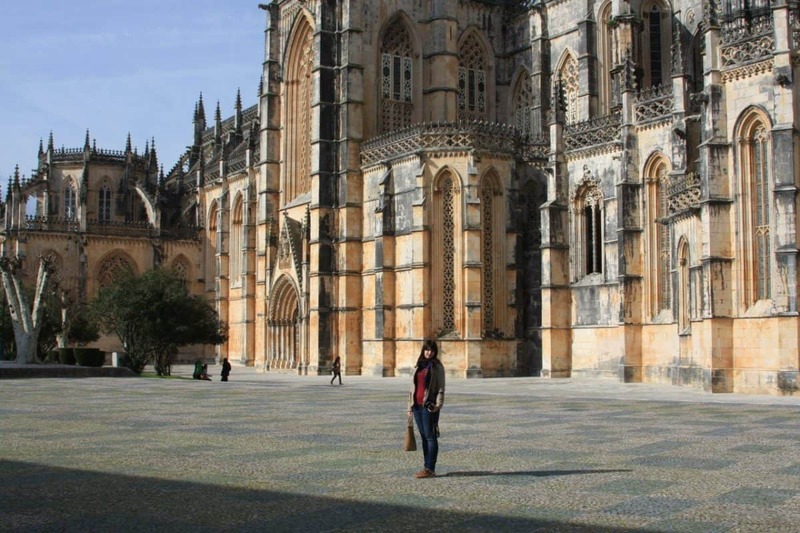 Batalha is famous for its gothic monastery that is almost intact, even though they started building it around the 14th century. From Batalha, we headed to Alcobaça, another amazing monastery that was founded in 1153 and it a UNESCO World Heritage site and then drove back to Estoril to return the car. The last 4 days of our trip to Portugal, we spent exploring the local area. We walked all the way from Estoril to Cascais, another marvellous seaside town in Portugal that is a prestigious resort in summer. 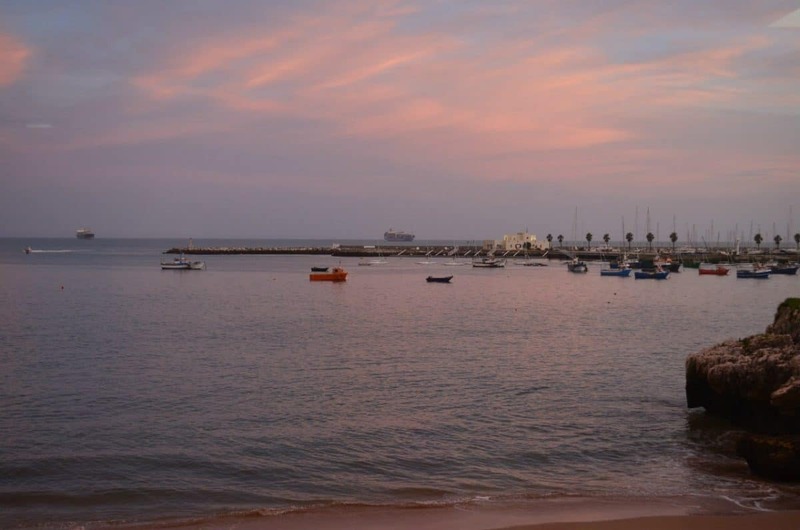 Unlike Estoril, Cascais has more things to do, including a couple of museums and more restaurants and cafes. The weather was beautiful and sunny during these last days in Portugal, so we decided to relax and explore the area at a slower pace. Looking back now, I would definitely add Porto to our 2-week itinerary for Portugal, as it’s a marvellous city with unique architecture and atmosphere. If you’re planning to go to Portugal in summer or autumn, you can also add other beach destinations like Faro or Algarve to the itinerary. However, if you’re going to Portugal in winter, it doesn’t make much sense to spend many days in a beach destination, so if you’re looking for a relaxed itinerary for Portugal, this one might fit you! What to pack for Portugal in winter? Don’t forget to bring a high-quality umbrella, a waterproof jacket and a couple of sweaters, but don’t forget to pack some t-shirts as well, as the weather can suddenly get very warm! If case you have any questions, please don’t hesitate to ask! 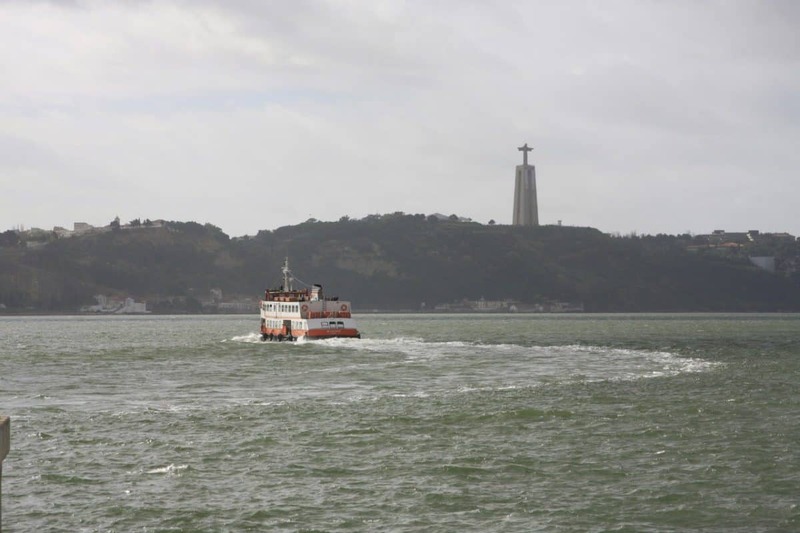 Liked this post about two weeks in Portugal: the itinerary? Save it on Social Media! Co-founder of Tripsget. Travel writer and travel addict. Countries count: 59! Hey there! Welcome to Tripsget. We are Liza & Pepe, young professionals based in London (UK) and we already travelled to 70+ countries. If you're looking for weekend trip ideas for Europe, road trips and Instagrammable spots, you're in the right place! More about us and our mission. Top Slovenia destinations: where to go in Slovenia and what to expect? Some of our blog posts contain affiliate links. If you buy something through these links, we would get a small commission at no extra cost for you that would help us to cover the costs of running / hosting this blog. Thank you! Copyright @ 2016 Tripsget. All Rights Reserved.